If/Then is a new musical that began previews at The Richard Rodgers Theatre in New York City last night. With music by Tom Kitt, book and lyrics by Brian Yorkey, and directed by Michael Greif, the show reunites the Tony and Pulitzer Prize winning team who created 2009’s Next to Normal. 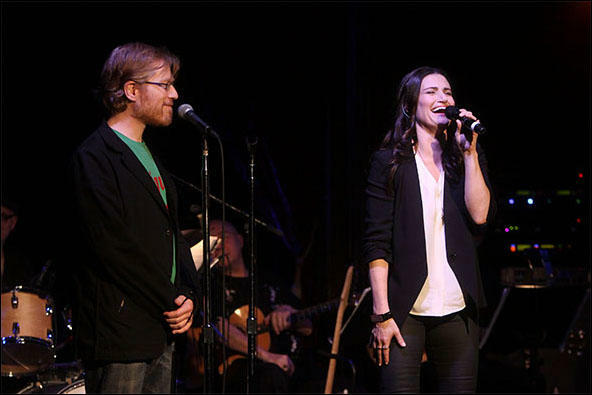 The production further reunites Greif with acclaimed actors, Idina Menzel and Anthony Rapp. The three previously worked together on the hit Pulitzer and Tony award winning musical, Rent, by Jonathan Larson. The cast of If/Then also features LaChanze - the Tony Award winning star of the musical adaptation of The Color Purple. 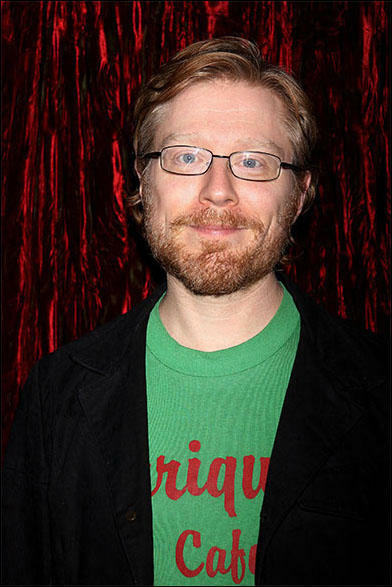 Anthony Rapp’s other Broadway credits are You’re A Good Man Charlie Brown, Six Degrees of Separation, and Precious Sons. He has numerous other stage and screen credits including Adventures in Babysitting, Dazed and Confused, and the film adaptation of Rent. Albany, NY – Adam Pascal and Anthony Rapp originated the roles of Roger Davis and Mark Cohen in Rent. They've reunited for a tour that brings them to The Egg in Albany, NY on Saturday, September 24th. There is an astoundingly riveting production of Samuel Becket’s existential absurdist classic, Waiting for Godot running at The Cort Theatre on West 48th Street in New York City. That is, on the nights that an unbelievably tense and masterful production of Harold Pinter’s No Man’s Land isn’t running in that same space. Dearbhla Molloy In Manhattan Theatre Club's "Outside Mullingar"
Outside Mullingar - a new play by John Patrick Shanley - the Pulitzer Prize winning playwright of Doubt and directed by Tony-winning director Doug Hughes, is currently running at the Manhattan Theatre Club’s Samuel J. Friedman Theatre on West 47th Street in New York City. Tony winner, Brían F. O’Byrne, and Emmy winner, Debra Messing, play Anthony and Rosemary, two introverted misfits straddling 40. Anthony has spent his entire life on a cattle farm in rural Ireland, a state of affairs that - due to his painful shyness - suits him well. Rosemary lives right next door, determined to have him, watching the years slip away. Outside Mullingar is a very Irish story with a surprising depth of poetic passion, these yearning, eccentric souls fight their way towards solid ground and hope to find some kindness and happiness. Bedlam Theatre's "Hamlet" And "Saint Joan"
Bedlam Theatre in New York City that is currently producing two shows - played in repertory, William Shakespeare’s Hamlet and George Bernard Shaw’s Saint Joan are boldly theatrical, stripped down, immersive productions of classic plays. These two large-cast shows are each played with a company of four - and not only four, but the same four actors in both plays. Eric Tucker is the the Artistic Director of Bedlam Theatre. He plays Hamlet and a few other roles in their production of Hamlet, numerous characters in Saint Joan, and directed both productions. Bedlam’s Producing Director, Andrus Nichols, plays Joan in Saint Joan and numerous characters in Hamlet - including Gertrude, Ophelia, Guildenstern, the Player King, and the Gravedigger. Bedlam is a company committed to the immediacy of the relationship between the actor and the audience - they create theatre in a flexible, raw space - and the audience is always included in their productions. Eric Tucker joins us to tell us more - he has worked with playwrights Tony Kushner, David Henry Hwang, David Ives, Paula Vogel and Ellen McLaughlin. He is founder of the Trinity Shakespeare Summer Project and has worked with Shakespeare and Company in Lenox, MA - including working with Tina Packer on Women of Will.